There can only be one winner of the coveted Design Effectiveness Awards Grand Prix. 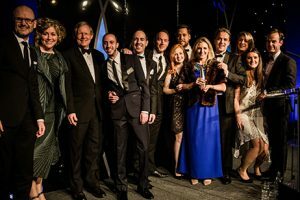 Last week, 61 client and agency partnerships were presented with Bronze, Silver and Gold awards at the DBA Design Effectiveness Awards ceremony in London. But there can only be one winner of the coveted Grand Prix award, and this year it was presented to HM Government and Radley Yeldar for the GREAT Britain Campaign which has delivered outstanding results including over £1billion direct return to the UK economy. View all of the DBA Design Effectiveness Awards winners. The Government’s most ambitious international marketing campaign ever to stimulate jobs and growth in Britain, required the development and expression of a single unified, global brand to align stakeholders from 17 Government departments, and 350+ private and public partnerships across 144 global markets. A high-quality, admired brand was developed with a flexible, easy-to-use and recognisable brand framework, which enables communication of the UK’s key attributes across dozens of different channels. A hugely complex exercise in managing brand consistency, delivered outstanding results. The campaign has so far delivered £1.2billion direct return to the economy and there has been a 16% uplift in intention to both invest in and visit the UK. Intention to procure UK products and services is up 12% and brand value has risen to 58%, well above the objective, putting the UK at No.4 in the worldwide Nation Brand Index. 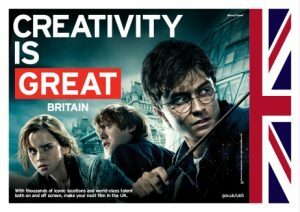 View the GREAT Britain Campaign case study in full.